The ABC Hansen Centrifugal oil residue separation machine is a new type of centrifugal separator to be used specifically for all vegetable oils. The centrifugal separator may take the place of traditional filters while, when used in conjunction with traditional filters such as filter presses, the operation of the filter would be greatly improved and large savings is possible due to less filtration media being used as most foreign particles would have been removed in the centrifugal separator. The oil so processed would also be highly polished and attractive to consumers. The principle of operation is that the machine takes advantage of powerful centrifugal forces generated by high speed rotation spinning out heavier particles such as sludge and fibrous matter thus obtaining a clear oil. Continuity: The separator works continuous and no cleaning or replacement of filter media is required, therefore no down time. Less waste and mess normally associated with pressurized filtration systems during cleaning and operation. No sudden pressure bursts through filter media requiring whole batches to be filtered again. High efficiency. The separator can handle 1 ton rapeseed oil per hour at normal extraction and clean the oil to a high degree and without sludge. The sludge spun out is dry and has very little oil included. Operation is easy and once set, continues automatically. The oil can be sold at higher prices than oil containing sludge. Yield is improved through oil removed from the sludge. machine shell and other components. It is mainly consisting of a self-priming pump, Berkelium-phosphorus barrel, infusion tube and other components. It is made up of drum, hollow shaft, conical end bearing cartridge, screw shaft, left and right bearing box, feed inlet, oil room, slag room and other components. Central hollow shaft adopts deep-hole processing technology, and spiral-shaped blades are welded outside the shaft. There are 6 solid phase exports along the drum cone end and 12 overflow holes at cylinder flange end. The machine uses a differential number of teeth and synchronous wheel, with high transmission efficiency, reliability and compact. This system ensures the drum and screw shaft rotating at different speeds in the same direction, and obtaining steady rotation around each other. ABCLW150 x 500L centrifugal oil separator separates the liquid and solids in suspension with the powerful centrifugal forces caused by high speed rotational motion. The suspension is first put into the spiral shaft cavity at high-speed rotation, and flows from the outlet to the inner wall of the drum. The light and heavy phase of the suspension will form a boundary due to different centrifugal force exerted as a result of differential specific weigh. The heavy particles will rapidly deposit on the inner wall of the drum, while the light particles are attached to the heavy phase surface. As the heavy particles deposits increases, spiral blades will collect the heavy particle deposit layer and transfer the heavy particles to the small end outlet and the light particles flows to the large end outlet and into the overflow holes. 1) The foundation of the centrifuge should be level to a tolerance of 1mm / square meter. All pipe connections connected with the centrifuge should have flexible joints. 2) Place five rubber mounting shock absorptive under the machine’s stand and ensure the machine remains level. Then tighten the mountings. 3) Suspension liquid gets into the centrifuge directly according to adopt gear pump, feed pressure is depended on the concentration, viscosity and the processing amount of the suspension liquid, it is about 0.05-0.15Mpa. Material must remove large debris by coarse filter in case of clogging the feed tube and centrifuge. 4) The sediment of centrifuges discharged can be carried out according to adopt conveyor belt and separate the serum, then discharged from the pipeline. 5) Users should pay attention to consider reserved operating space during the installation. And spacing around the building is not less than 1 m, lifting device should be equipped on the centrifuge, easy to assembly and disassembly centrifuge in the maintenance. 1) All gas lubrication positions should meet the requirements. The grease or lubricating oil is added into bearing and each sealing position shouldn’t have leakage. 2) You should check whether the feed tube is connected securely and correctly or not. 3) All bolts should be tightened, check whether the pin is loose or not and belt tension should be moderate. 4) Jog motor, you should check that the steering motor is consistent with the desired direction (according to observe the liquid end, the drum should be rotated clockwise), check whether it has unusual sound by abnormal friction or not. 2) Check whether all parts of the sealing have leakage phenomenon. 5) You should check whether working current of motor is normal and the electric current exist sharp fluctuation. 6) You should always check the main bearing temperature, the temperature is ≤75℃ and the temperature difference is ≤35℃, if bearing temperature is too high ,you must stop it, identify reasons and eliminate them. 1). 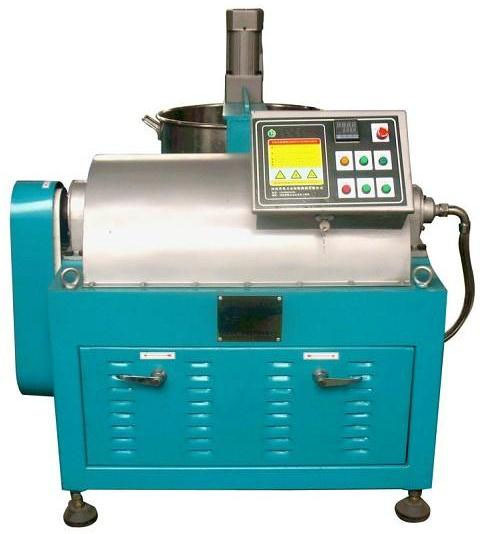 before stop machine, you need to use moderate leaner that separated to clean rotary drum, the time of cleaning depend on material character that be separated, generally speaking, it need five to ten minutes. You shouldn’t stop cleaning until have no sediment and the leaner is clear. 2) After cleaning, you should close start button and cut off power of machine. Start the dephosphorization motor → pour in crude oil and proper proportion boiling water→circulate fifteen to twenty minutes(the temperature can’t below 80-90 centigrade) → start main machine of Centrifuge → stop put material in and clean with leaner about three to five minutes→ stop machine and cut power off. You can add water to crude oil, after aritificial stir dephosphorization, you can pump it to stainless barrel to circulate, thus, the effect much better, speed become faster and oil more clear.